I began writing these features to shine a light on the lesser known side of creative arts taking place in Sacramento. According to the Entertainment Software Association, of the 77 college programs and 889 companies that operate in California, approximately 32 of those have made Sacramento their headquarters. I am by no means a professional writer. I’m just someone who wants to help see our community succeed. As the person who has been heading up the social media marketing and outreach efforts for the Sacramento game development community over the last four years, I felt it was time to start telling the stories of the people behind the studios. Up until this year all of my posts have been promoting our meetups and the big events. But we are more than that and would be nothing without the little consistent tasks that take place day after day, week after week, and month after month. This April I am showcasing another local independent game studio based in the greater Sacramento area. Byte Me Games LLC, a veteran owned partnership, is one of those studios comprised of smart and creative people who are actively working towards their big break. From a business perspective, I admire their enthusiasm and persistence in a difficult industry. On a personal level, they are a fun, uplifting, humble bunch who I am happy to have come to know over the years. Read on to learn how this group of friends took their game nights plus day-job qualifications and applied it to launching a small business. A long time, it seems. We started with a video game called Kolorcubez in 2014 (a Q-Bert clone of sorts and programmed in Game Maker) that was submitted to a couple gaming portals, but we never got a response if it was ever published. And honestly we never checked in on it. Jeramey our programmer, started to work on Pernassau's Box in early 2015. That is when we actually started up the LLC. We worked on that video game for close to a year, and showed it off at a couple expos/cons, but it turned out to be too big of a project for one programmer to handle. So it is one the shelf for now. Then we switched over to creating board games as a few of our video game ideas sounded good for tabletop use. Who is your team comprised of? Our team consists of 4 people. Jeramey Jones the CEO is our everything-computer guy and programmer, and I don't say this lightly. 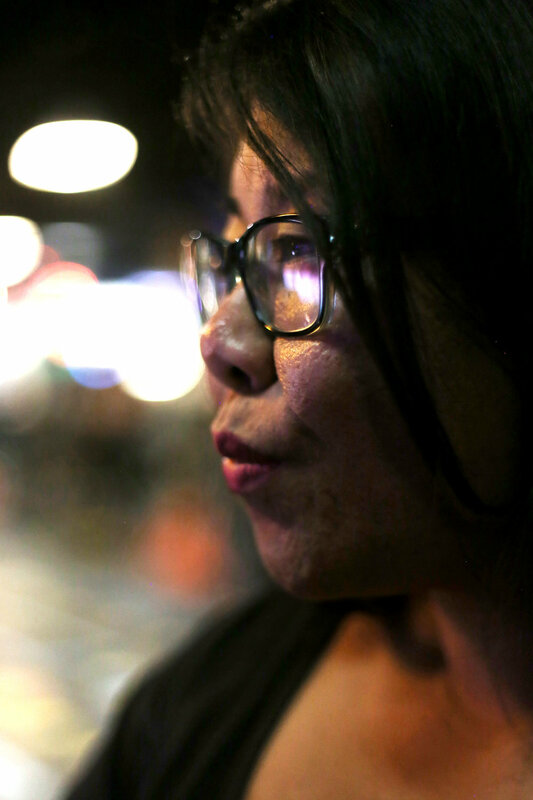 Rayna Jones (ME, the wife & COO) manages most of the social media and my hands are in a lot of the creative influence for most of the game ideas we have stocked away. Donovan Vig is our game designer and community manager as well as the mind behind the MasterPad, and Angela Nelson our CBO handles all the business & legal aspects for our company. We started off as friends that gamed together, and still do, and as time went on, we decided to join forces as a game company because we complement each other's strengths well. Plus Jeramey has had difficulty finding a job. What kind of games do you produce? We produce both video and board games. Right now we have a published board game called War Mines. It is available for purchase through The Game Crafter and is a resource and management mining game that strategically pits the players against each in a race to collect gold to win. Our current product, MasterPad, is a tabletop gaming accessory for games that require miniatures. Its purpose is to help reduce the time that a Dungeon Master/Game Master spends on creating a dungeon crawl for a campaign to run his/her group through. If this takes off enough, we will be able to expand it to more than dungeons and caves. We have many ideas in the pipelines. 17 different projects are listed on your site. How do you know which one to prioritize? Is it based on personal choice or fan favorites? Yeah, we have a lot of ideas. War Mines, our board game, actually was a video game first and came from that list of 17. Our priority has shifted over the years. We learned a lesson with Pernassau's Box, as that ended up being too big for us to handle as our first real project as an LLC so we went smaller with the board games. We need to take little Bytes, till we can fully chew the big ones! So, basically right now, it’s more about personal choice, rather than fan based. Rayna: I've been thinking about this myself lately. How long will we keep this up? How long will we keep trying to push through? We keep telling ourselves that we will continue to throw stuff at the wall and something will stick. Trying to push through is no easy task. So much money and time is put into the business each year. I can't speak for the others on our team but I would say that I believe in this dream that Jeramey and I share to make fun games for the world. I hope that we can get back into the video games side of the house soon because we have created a whole world with a time line of events, story, characters.... We both are Enraptures at heart. We both enjoy creating new things. That's probably why we have so many projects. We put the ideas out there (on our website and on LinkedIn) as a reminder, so we don't forget them. Jeramey: The thought of failure inspires me. I have spent so much time and effort into making this business take off that anything other than success is not an option. How do you balance family and independent game developer life? LOL! Balance!?! What is this that you speak of? It's more like trying to juggle! Three of us are holding down full time jobs and we all have kids. It's a wonder we have found time to keep it going! Most of it is handled through emails and text with the rest of the team. We have meetings on weekends to make sure we are on the same page and we divide up responsibilities. Responsibilities also change depending on what the current project is and what it consists of. But we all take part, to try to relieve each other when we can. From what I've seen, you are a studio who regularly incorporates the kids into play testing and creation. What is the best way to change the perception of games in the lives of kids? It often comes with a negative perception especially now with the amount of violence taking place in schools and society overall. Rayna: The answer is easy. Know your child and talk to them, play games with them, let them have a voice, and know what they can handle and what they can't. Each child is different. Even if you have a swarm of kids to raise, you cannot raise them all the same. I know people like to point their finger at violence in video games as the underlining cause for bad things happening in our world, but it is NEVER one thing that causes a child to let’s say, go on a shooting spree. COD [Call of Duty] or FPS [first person shooters] in general is not going to cause this alone. It will be a number of things that is currently going on in the child's life and/or experiences. These type of games might have a factor, or support a youth’s ill will on others, but not alone. It is never a solo thing. Think about this, about 27% of gamers have purchased a FPS [first person shooter]. That's a sizable chunk. If FPS games are solely the root of all evil, we would have a lot more crazies with guns, but we don't, we have rage quitters. I’ll give you a personal example. My eldest [child], who is now 18, started playing FPS games when he was around five years old. The game was Halo. He was good and it never affected his school life, so we played with him and let it be. When my second child became interested in PC/video games around the age of two or three, we learned real quick that FPS games had an effect on his school life in a negative way, coupled with his ADHD he became more hands on and impulsive with his behaviors. We banned him from FPS games and that all went away. He is now older, more mature and can handle it. But he was banned from playing and watching them for quite a few years. He is now 11 and the ban was lifted about two years ago. Jeramey: Yeah, what Rayna said. The idea I would like to convey is how to shift the game playing process into a valuable real world experience. Not like training kids to manufacture things like little robots, but gain critical thinking skills about real world problems. For instance, if the Fallout game series explored the reason the world was in an eternal state of apocalypse we would see how to treat and help those with radiation poisoning and mental illness. But the game is way too fun to spoil with educational highlights. What would you like people to remember about your studio and the games you create? I think it’s still too early in the game for that. But I would say if we are able to keep to our motto; helping others get a foot in the door of the gaming industry. This video gaming industry is so saturated it is hard to get a job as a result. We would like to be successful enough to help others by getting their names on a project. Typical video game developers won’t even bat an eye at a resume unless you already have a game release under your belt. How are you to do this in a timely manner if they keep to their own circles and hardly let others in? It would be nice to be that starting point for people that are trying to get in. We want to help. Having different upcoming people working on different games we have planned for our World of Parnassuses would be amazing! Seeing the different styles for both artists and programmers used for each game would be a treat and reinforce the diversity of our games and community. What have been some of your favorite cons? 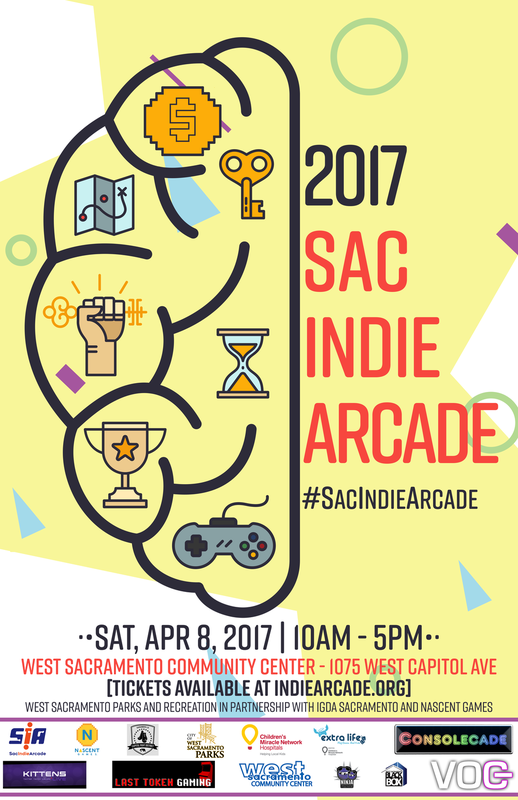 [Sacramento] Indie Arcade, we either show off or attend every one we can. We love seeing how indie devs are developing their games. We will be however going to a lot more here soon. But ones that are focused more on pen and paper RPGs like D&D, as MasterPads is our current project. Do you have any industry events that you like to attend during the year? Several, as mentioned in the last question. We will be pushing MasterPads more openly and to larger venues very soon! What are your goals in the next six months? Rayna: Hopefully getting MasterPad to fly, so we can figure out what road to take with it. We also have a smaller "hush" project in the works for D&D fans, but no tentative dates as of yet. Jeramey: I would like to get back into programming and get more games done. I want to design more games. I want to help others make games. I want to make money. I want to rule the universe! What has been the best way to market yourself and your games? We are still working on that. After our last Kickstarter fail, (we knew we were going to fail pretty much from the start) but we needed to get it out there to force us to research it more as a team. We learned a lot from the fail. Social media of course is always a big factor, but you need your audience! That's what I'm currently focusing on, while trying to not completely break our wallet. What does your studio need to help finish your projects in a reasonable time frame? Money and time. 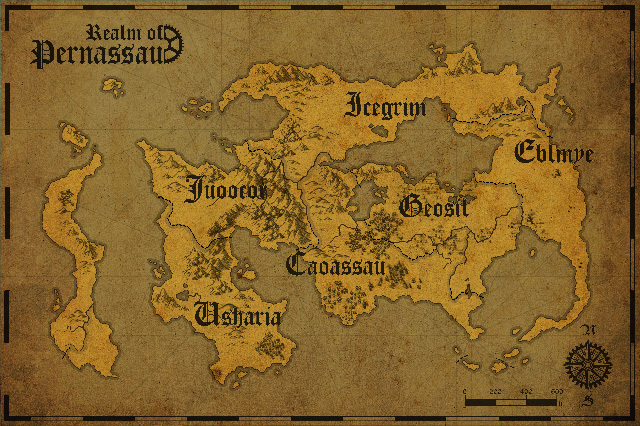 It would be nice to have another programmer or two to get started on the World of Pernassau. Most of our video game ideas fall under that world and a few of those games are big, too much for one programmer to handle on his own. If we can get MasterPad off the ground and into a position where it is creating revenue, we can use that to start other projects. We could free up some of our time and focus on our projects if revenue can be generated. In 2017, the City of Sacramento launched a campaign to help elevate the Creative Economy in our region. This includes micro-grants awarded to various art disciplines. Do you see an opportunity for yourself and other local game developers to take advantage of a program like this? Will it help accelerate your development goals? In the future, maybe. We haven't had an issue on procuring artists for our ideas, its more along the lines of programmers that is what’s holding us back on the video games side of the house. Attracting a strong diverse group of creatives would be desirable though. Are there any particular funding opportunities you would like to see become available for developers? Jeramey: Of course. I would not mind having a millionaire that was interested in game development to throw money at us. I would like to see a shift in educational game development funding. However, I believe that the reason educational games are just flash card styled is due to funding. There are billions of creative minds out there and the focus is on entertainment. Do you have any advice for aspiring and fellow game developers? It is not easy to be an entrepreneur. The biggest thing is knowing when to ask for help and taking it. What do you think Sacramento can do to support our game development scene so it can become a viable place to grow within the industry? Jeramey: Square One Clubs was a shining example of what we need to do for growth. Having an Indie Dev HQ is a must, but it needs more support.